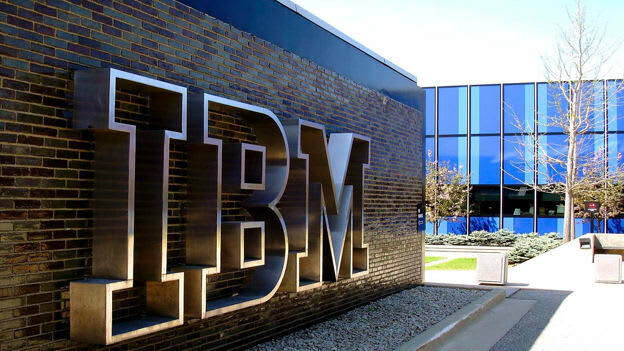 This is a recent case that appears to entail a violation of trade secrets & non-competitive restriction in one of the leading multinational technology organizations, the Big Blue IBM. IBM has sued its former Chief Diversity Officer, Lindsay-Rae McIntyre, who led IBM’s diversity initiatives, for violating a one-year non-compete contract clause after Microsoft hired McIntyre as the Chief Diversity Officer. The suit claims that McIntyre, one of IBM’s most senior executives “who oversaw IBM teams developing new artificial intelligence-based tools and methodologies that aimed to track career development, recommend growth opportunities and potential promotion paths and monitor diversity metrics at IBM”, had access to some of its “closely-guarded” strategic plans and recruitment initiatives. Defendant Lindsay Rae McIntyre was until she abruptly resigned to compete against IBM, one of IBM’s most senior executives with knowledge of IBM’s most closely guarded and competitively sensitive strategic plans and recruitment initiatives. Unlike California, it is legally possible under NY laws for employers to prevent former employees for competing. Any such restriction imposed by the employer should be for legitimate purposes such as protecting the employer’s trade secrets, confidential information or goodwill. For successfully enforcing a post-termination non-compete restriction, the restriction should be reasonable in time and space, and no greater than is required for the protection of the legitimate interest of the employer. The restriction should also not impose an undue hardship on the employee. Given that Ms. McIntyre was IBM’s Chief Diversity Officer until she resigned to join Microsoft, the lawsuit alleges she had in-depth knowledge of highly confidential and competitively sensitive information about IBM’s “diversity strategies, initiatives, hiring targets, representation data, and technologies and innovations.” Ms. McIntyre had information about IBM’s diverse representation in every segment of its workforce and oversaw the teams responsible for developing Artificial Intelligence-based tools and methodologies designed to track career development, recommend growth opportunities and potential paths for promotion, and monitor diversity metrics. The complaint also adds that she led an initiative to identify, target and devise plans to recruit more than 50 top diverse external candidates for specific positions at IBM. Indian law is somewhat similar to that in California. Article 19(g) of the Constitution of India provides every citizen the right to practice any profession, trade or business. As such, this is not an absolute right and reasonable restrictions can be placed on this right in the interest of the public. The Indian Contract Act treats an agreement in restraint of trade as void. An agreement in restraint of trade is one in which a party agrees with another party to restrict his liberty in the future to carry on trade with other persons in such a manner as he chooses. The situation under the law may be different if causes business interference or relates to disclosure of confidential information. As an exception to this general rule on restraint of trade, agreements under which one party sells his goodwill to another while agreeing not to carry on a similar business within specified local limits, are valid, provided such restrictions are reasonable. Irrespective of the enforceability aspects, it is generally common for executive level employment contracts in India to contain post-termination restrictive covenants in relation to competitive activities and solicitation of employees or customers. IBM has sought preliminary and permanent injunction from the court to, amongst other things, order Ms. McIntyre to refrain from commencing her employment with Microsoft as its Chief Diversity Officer or in any other position that would create a risk of inevitable disclosure of IBM’s trade secrets for the non-compete period of 12 months. Given that this lawsuit involves two leading technology companies who compete with each other, if it does not settle out of court, it would be interesting to see if the non-compete restriction would survive the court’s scrutiny or whether it would be treated as an unreasonable restriction being placed upon the HR leader. Besides restricting Ms. McIntyre from joining Microsoft, the court may also need to decide on the extent of damages for breach of the agreement. All in all, it would be interesting to see how the case unfolds.